Home » Lighter Topics » Travel » Yet another aviation thread. What's left when it comes to innovation for the next clean slate design of commercial aircraft? The old reliables, speed and size, are out. Concorde proved commercial supersonic flight is as yet impractical (damn! 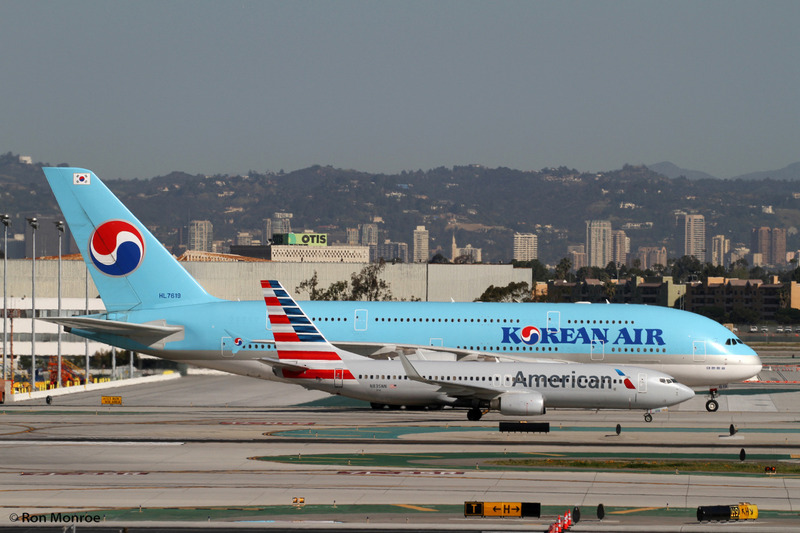 ), and the A380, plus the slow demise of the 747, prove larger airplanes are a risky bet for the manufacturers. Absent some unexpected development, I doubt we'll see anything in these areas for some decades. There will be improvements in materials and engines, maybe on airframe designs as well (mostly on the wings), to provide incremental improvements on efficiency and range. But this by definition is not new. The 787 provided a new experience, giving passengers higher air pressure and more humidity. This will undoubtedly continue as well, not just in clean slate designs but in future variants of existing planes. For true innovation, what's left is passenger comfort. Alas, there's little that a manufacturer can do to affect it substantially, past what I've noted about the 787. Manufacturers don't set pitch (and its attendant leg room), or even width. They don't set meal or entertainment policies, nor WiFi use or availability. The issue of passenger comfort is becoming more important, as more and more airlines chose narrow body jets for ever longer flights. Beyond the flight experience itself, there are health risk, granted of low probability, like deep vein thrombosis, caused by prolonged periods of inactivity in the same position. Getting up and walking in a narrow body plane is not easy, nor is there any place to go. What's needed is a twin aisle narrow body. I've made the argument before. It would provide space to move about on flights 4-8 hour long, as well as places to hang out. It's also the only innovation that would enhance passenger comfort in narrow body jets. I've been giving the matter a lot of thought. Let's begin at the beginning (she said pleonasmically). With smaller planes, namely the 737 and A320 families, attaining ever longer ranges and better fuel efficiency, the tendency to use them in longer and longer flights continues. Up to the 90s or so, what we call mid-haul flights now, say from 4 to 6 hours, were mostly undertaken in wide body planes (though this was often as much a question of capacity as range). Routes like NYC or Atlanta to LA or San Francisco, for instance, were not covered by DC-9s or 727s, but rather by L-1011s and DC-10s, usually. Next, consider what it means spending 4.5-5 hours confined to a seat, with or without enough legroom, and with almost no space to move around. Leaving aside the very real risk of deep vein thrombosis, it's not what you'd call pleasant. You might get up once to use the lavatory, but hardly for any other reason. I think this is bearable for up to 4 to 4.5 hours, but more than that really gets irritating. One solution is to bring back wide bodies on these routes, but that's unlikely to happen even with the current drop in oil prices. Passengers and airlines want more frequencies, and wide bodies conspire against this. Another solution is to reduce the number of seats, to a 2-2 or 2-3 configuration, rather than the current 3-3, in order to allow some room in the aisle and by the lavatories and galleys . But that would require raising fares. Still another, rather far-fetched solution is to develop a twin-aisle narrow body (only it wouldn't be so narrow). I envision a 2-3-2 configuration. the additional fuel cost of the wider, heavier fuselage (even if lighter composites are used extensively) could be offset somewhat by greater carrying capacity (notice space for seven seats rather than 6), as well as additional cargo capacity (due to the wider fuselage), and perhaps also by faster boarding and unboarding due to the twin-aisle design. Now, it may be I'm suggesting the specs for the old 767. I hope I'm not. This photo made me think about this strange obsession you have with a twin aisle narrow body. But yes, American airlines does have 30 angle-flat seats in five rows with a 2-2-2 configuration and 25 rows of main cabin seats in a 2-3-2 configuration (plus 13 extra seats squeezed in around toilets and coffee stands) for their Boeing 767. And there are still people who try to book a B767 simply because the maximum number of people they must climb over is one. My obsession is with an affordable and comfortable means of travel. I've been checking Volaris' website recently for business purposes, and I figured out why the "a la carte" model bothers me: it's not "a la carte." Let's drop the quotes. A la carte means something like "to order." The term comes from restaurants, where the "carte" is the menu. This is as opposed to a fixe prix meal, which means "fixed price." Anyway, the idea is that by unbundling things like baggage allowance, meals, snacks, etc. you can get a cheaper fare. Well and good. And if you want all the fixins' you pay for them. But once this is established, the airlines, especially the ultra-low cost ones, begin charging for more and more things: a seat assignment, a boarding pass, a customer service call, using the counter, etc. It gets frankly ridiculous. Also, the prices for on-board snacks are concession stand kind of prices: inflated and sold to a captive audience. Example: a can of Diet Coke costs 40 pesos. Retail at a convenience store it goes for 11. Considering Volaris pays wholesale for them, the markup must be well over 400%! Even considering the expenses of getting the cans to the airport, loading them, and the fuel used to carry them, it's outrageous. I can bet they didn't value each at 40 pesos when they were operational inventory. That's not affording the customer the opportunity to pay only for what they want, it's scalping the customer when the choice is an overpriced snack or doing without. I will admit the fees for bags are reasonable. And I could swallow the fees for better seats. But the "clean" fares aren't low enough most times to justify this in the flights that interest me. But all the services are going down this primrose path. I have a phone plan for my father that tacks on 38% for something (presumably the omnipresent taxes and fees). How do you not mention 38 percent? Somebody figured out that while a computer could put up a nice diagram for you and show you exactly which seats are available, a computer could also charge you for picking a seat. I have been talking about Sweden's drive to eliminate most of their large denomination banknotes. They are the most advanced society in the world for not using banknotes and coins. But the surest sign of a cashless society is going to be this drip pricing for everything. You'll get a bill from your airline and it will itemize to hundreds of lines. But all the services are going down this primrose path. I vaguely recall a MAD magazine bit where the price of a car is itemized to include such options like "air in the tires." So this is not precisely new. BTW I just printed some boarding passes in Volaris' website. You get offers to pay more for a different seat, add checked luggage, carry-on luggage, etc. Surprisingly, the "clean fare" does include a carry-on and one checked bag. More surprisingly, you can print your checked baggage tag at home. There were entire vaudeville routines built around things that are common practice today.What was once a joke is standard business today. But looking at five bills in front of me, I get the following percentages. The more established airlines begin adopting the baggage options of the LCC. They don't charge trip flexibility insurance outright, but certain types of fares have huge fees associated with changes. So they have just buried this fee into the fine print. Gone are the days when people would carry a little card with the Official Airline Guide schedule, so if they wanted the meeting to run late they could simply look for a later flight. What could they possibly charge fees for? Oxygen? I recall going to the Texas International counter with Pan Am tickets and getting our flight rebooked with them at no extra cost. The Carrier Usage Charge is technically optional, but the only way to get around it is to go to one of 8 (out of over a hundred airports served) and pay in person. In addition the counters are open only 12 hours per week. The Credit Card Surcharge is also technically optional, but you can only get out of it by paying in cash at above mentioned airline counters. Essentially since these airline counters were a thousand miles away, it is legally an option, but in practical terms, it is not an option. These last two fees fall under traditionally free perks. The right to carry on a 10kg bag, and the right to change the day or time of you flight with plenty of notice. Under the terms of the contract just changing the time of your flight means you forfeit all money paid and start over. The insurance permits you to make a change. In addition to all of the above, there was several fees which were skipped, like (1) choosing a seat, (2) getting a boarding pass at the airport (3) checking a bag, and (4) purchasing water or potato chips. The on "gotcha" that seemed particularly nasty was that a hundred million carry on bags were sold where the luggage is 21" long not including the wheels. The airline changed the specification to 21" including the wheels and handle. So the innocent person brings the same bag that they have been using for years, and they are slapped with a $50 fee each way for last minute check-in. That's what I mean. Those kinds of fees are ridiculous. It makes it look like gratuitously piling on of charges.